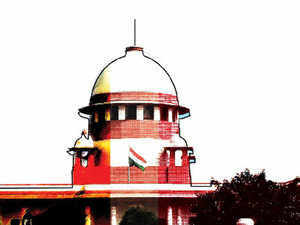 ​​SC to hear a PIL that said the decision was against the country’s secular ethos and could arouse communal passions. State funds which consist of payment of various taxes by citizens cannot be utilized for any religious purpose, the PIL argued. NEW DELHI: The Supreme Court will on Friday hear a public interest litigation that seeks its intervention to set aside the Mamata Banerjee government’s decision to grant Rs 28 cr to Durga puja organisers in West Bengal. The PIL said the decision was against the country’s secular ethos and could arouse communal passions. Advocate Saurav Dutta approached the SC after the Calcutta High Court rejected his PIL on Wednesday, saying it was not maintainable on technical grounds. On Thursday, advocate PV Dinesh mentioned an appeal against the HC decision on an urgent out-of-turn basis before a bench led by Chief Justice Ranjan Gogoi, who agreed to hear it. The state government’s decision, the petitioner claimed, tantamount to indulging in practices which were against the principles of the Constitution. Secularism is a basic structure of the Constitution of India, he argued. “There is no provision of law by which state exchequer could be utilised for giving a gift to a puja organiser,” the petitioner said. State funds which consist of payment of various taxes by citizens cannot be utilized for any religious purpose, the PIL argued.